Absolutely stunning scenery at Milo Cove. 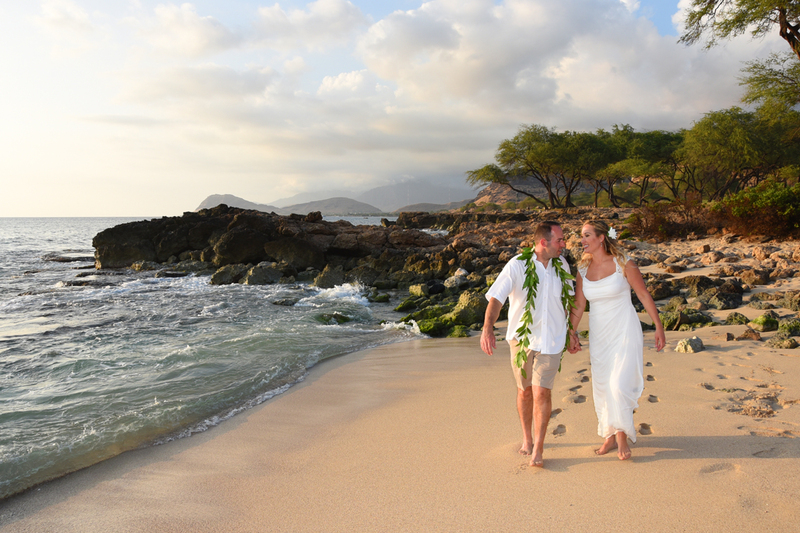 Secluded beach is perfect for the adventurous couple that doesn't mind getting wet. 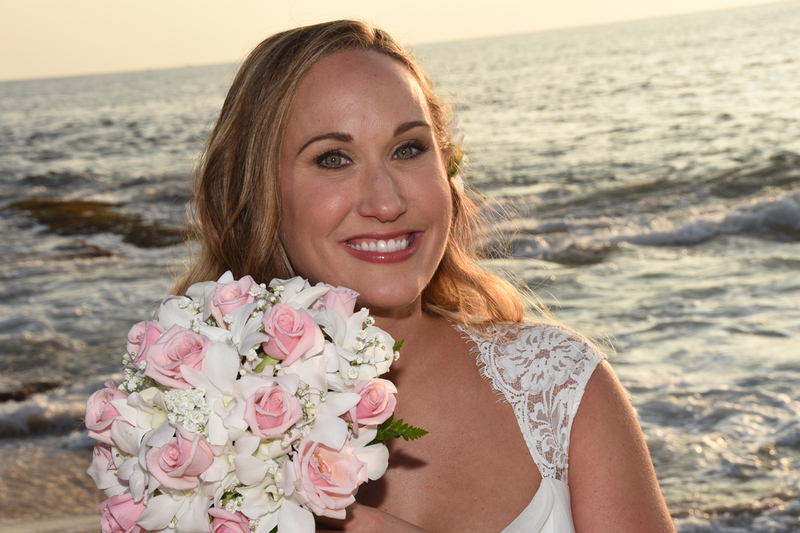 Lovely Bride Dawn holds her white orchid and pink rose flower bouquet. 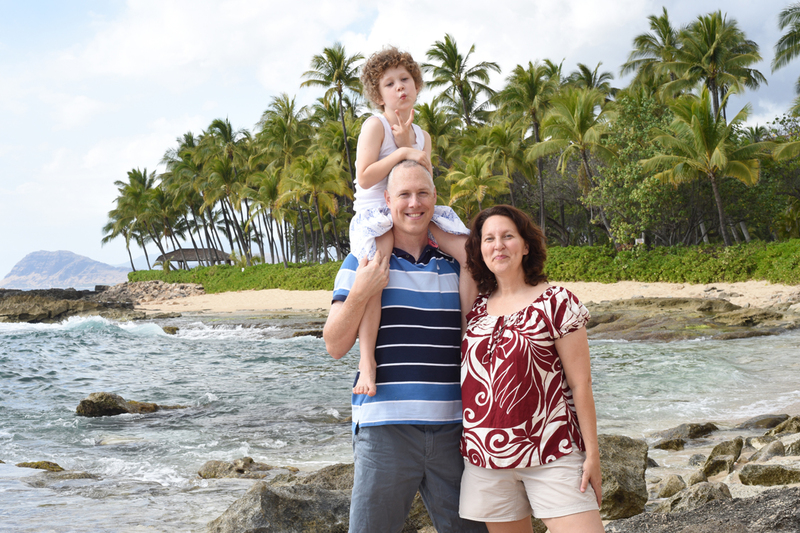 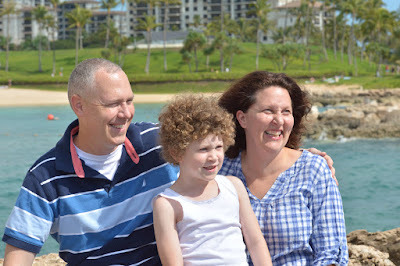 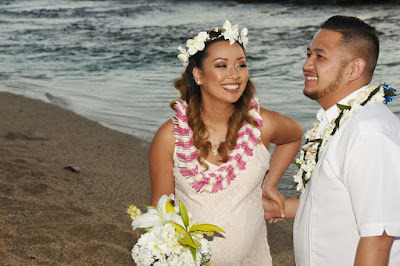 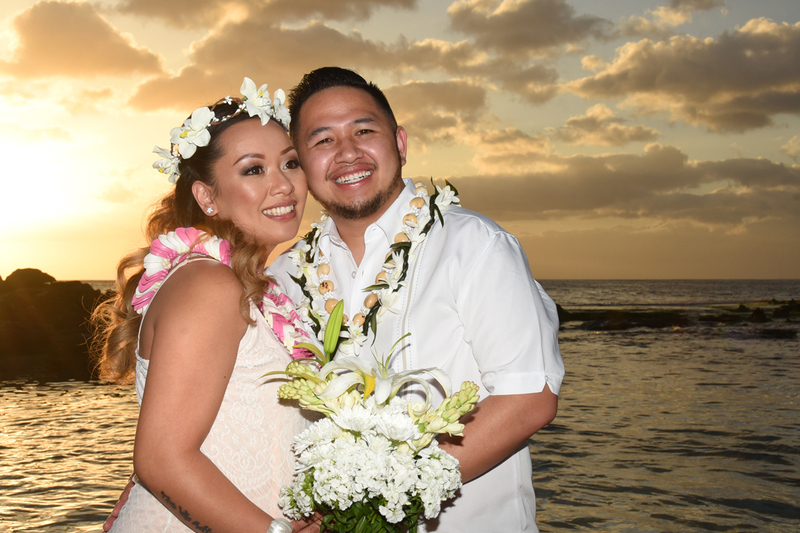 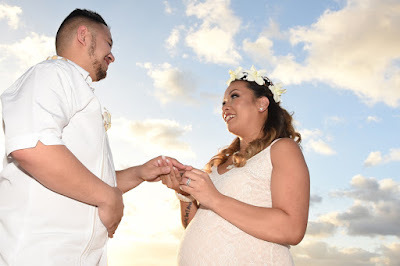 Alan & Meryia take some memorable family photos before their move away from Hawaii. Jocelyn gazes at her Groom. 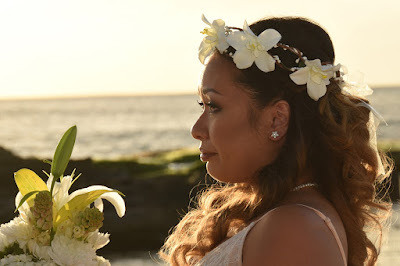 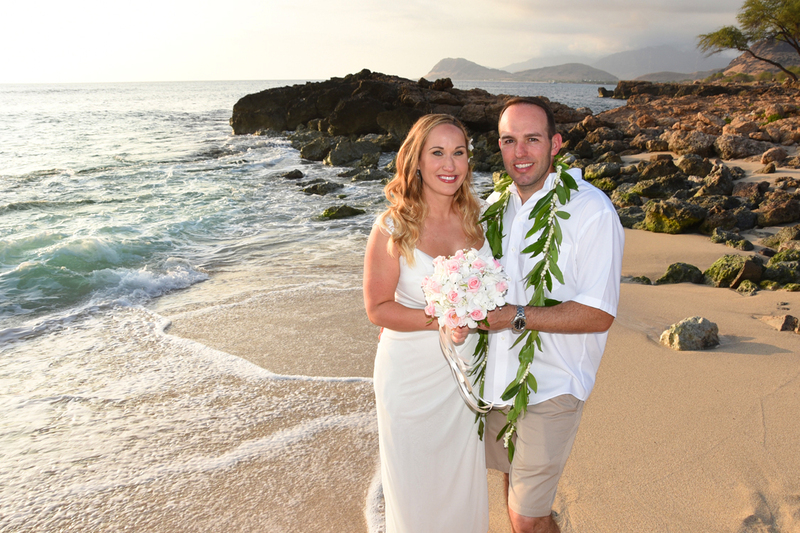 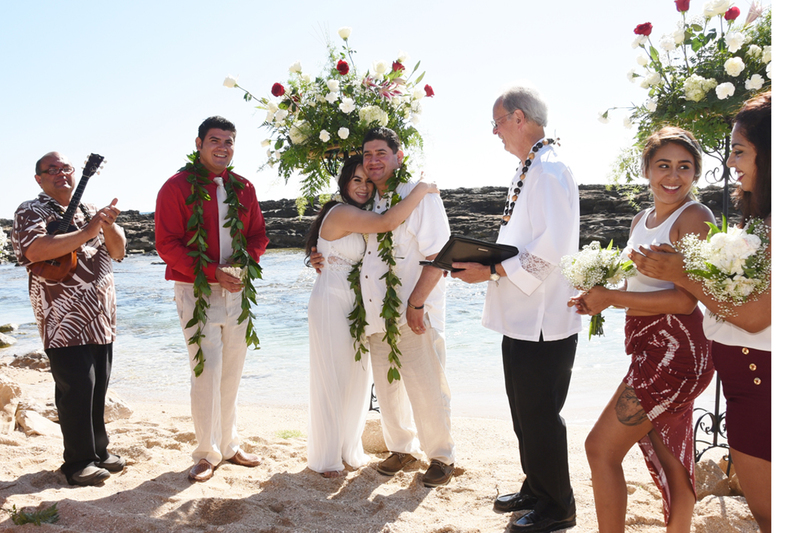 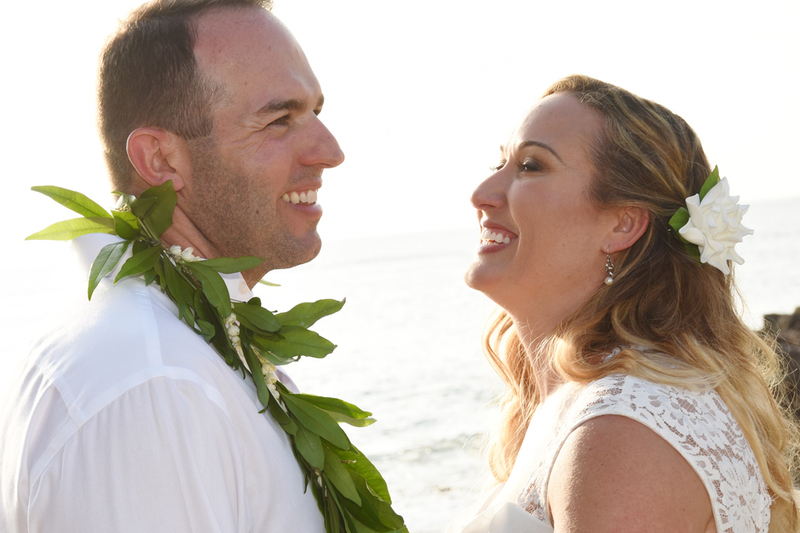 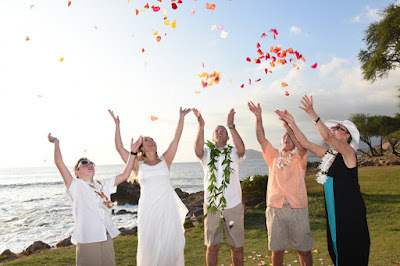 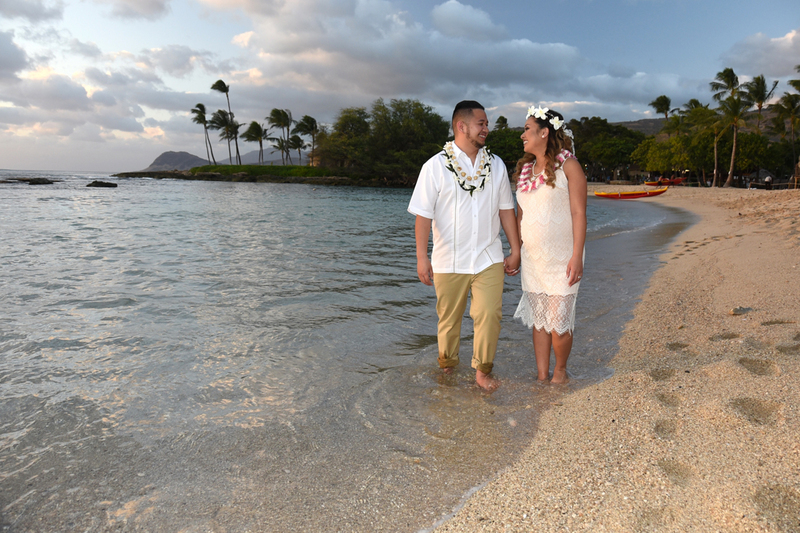 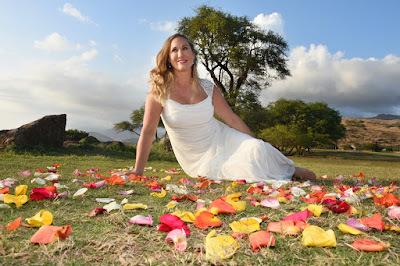 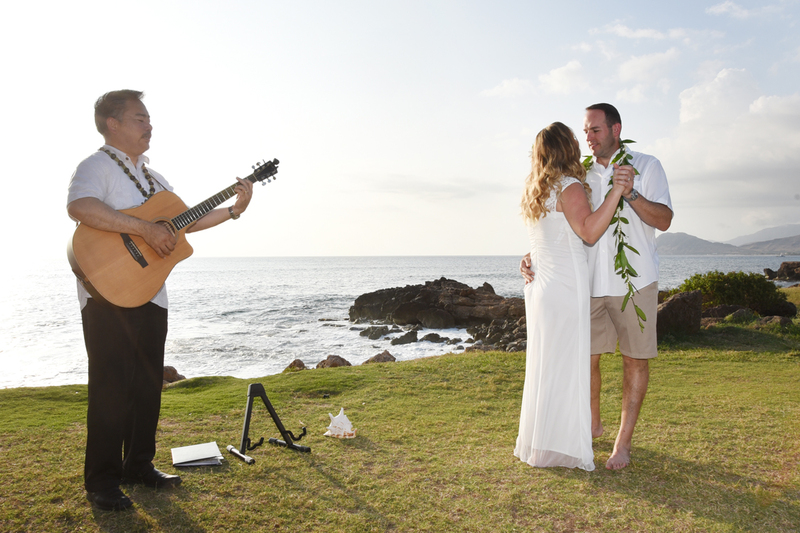 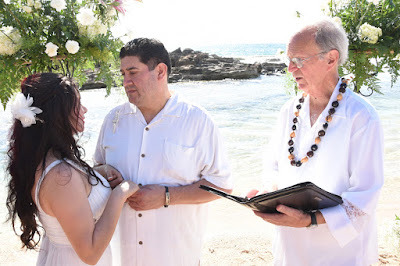 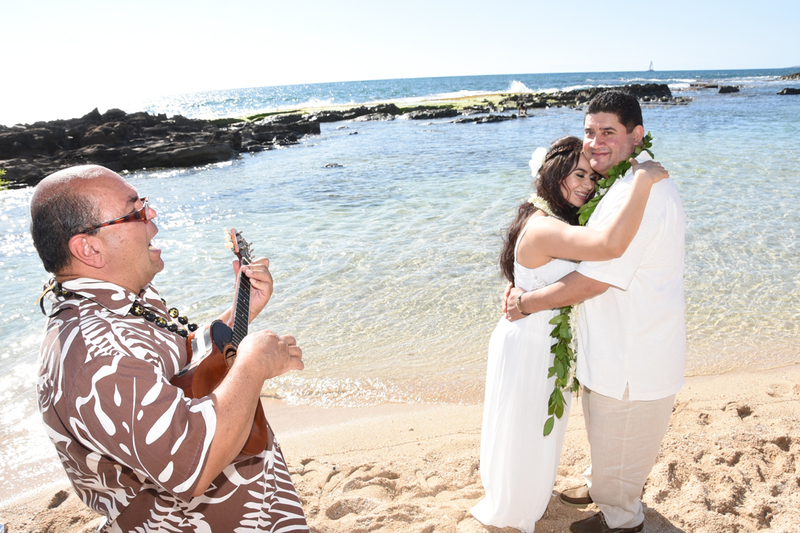 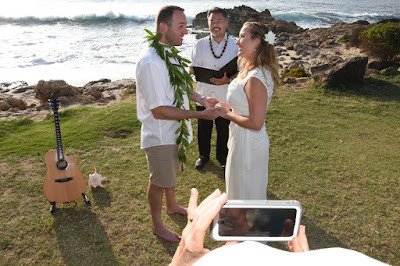 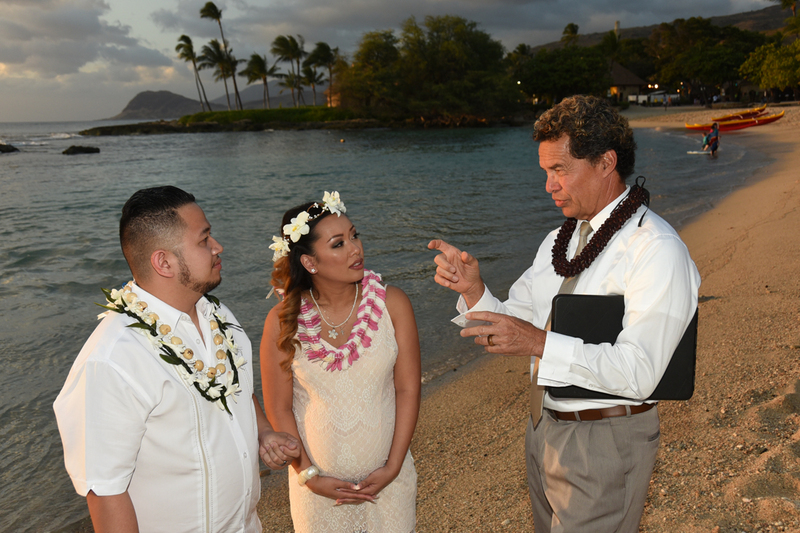 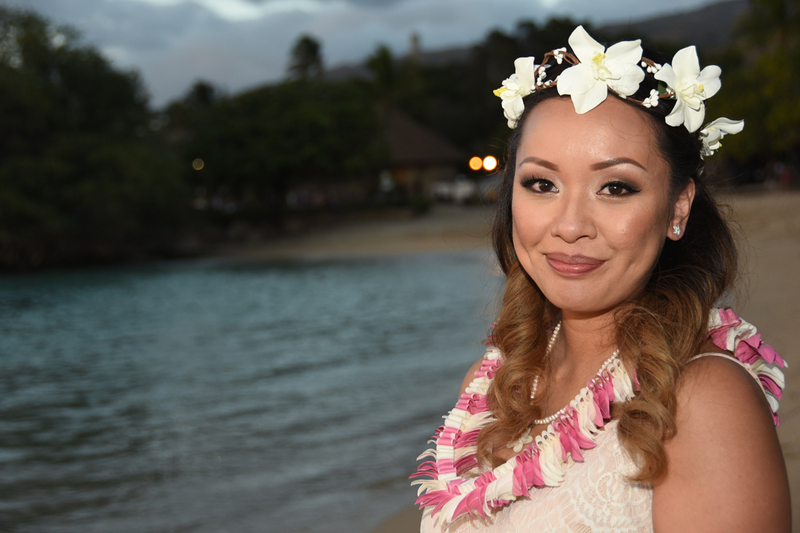 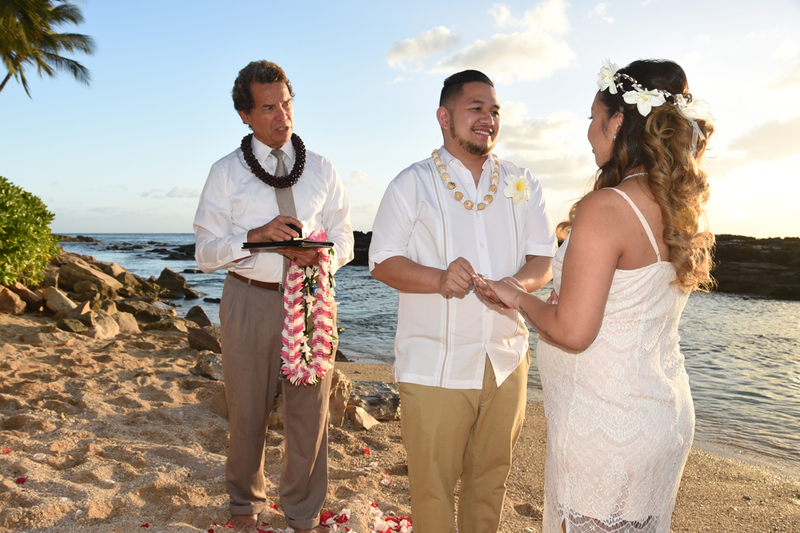 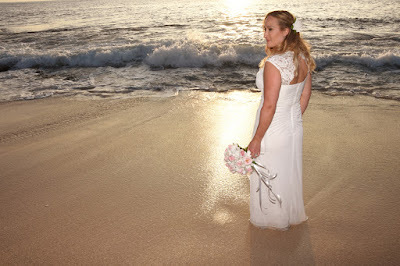 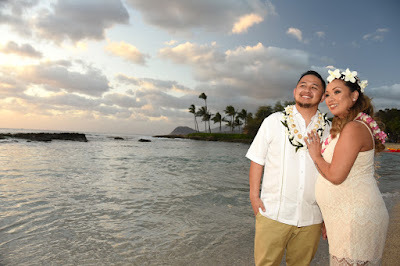 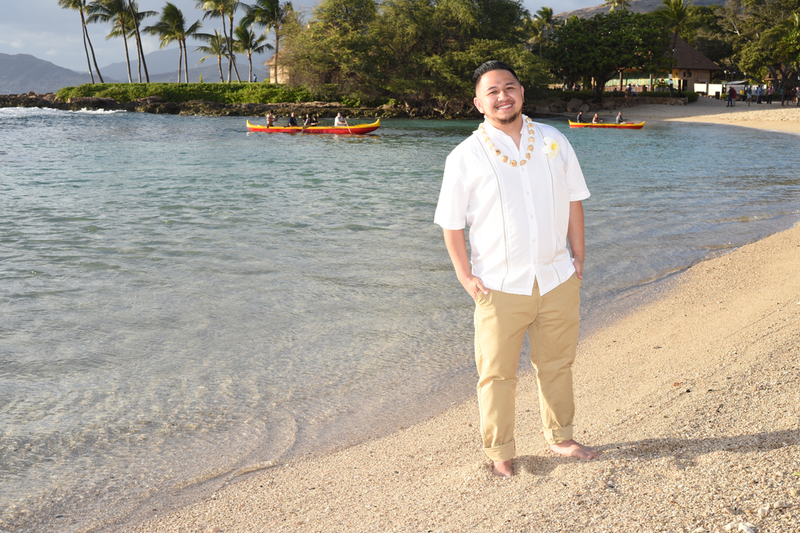 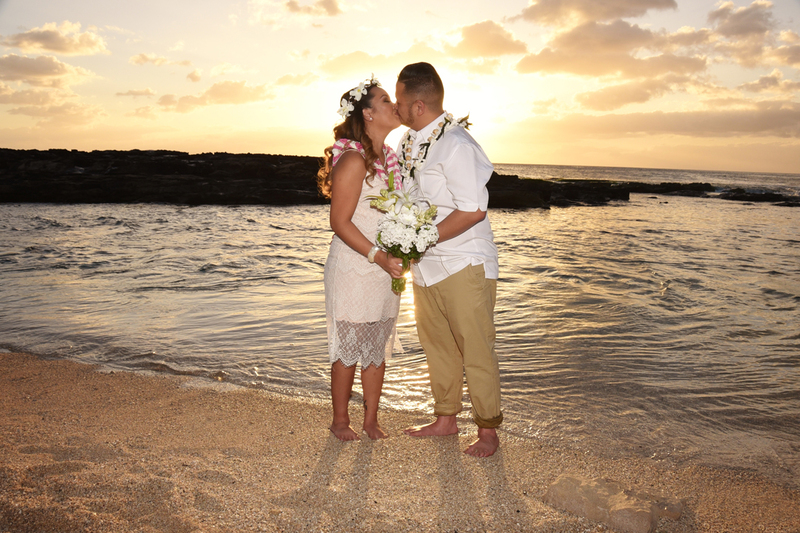 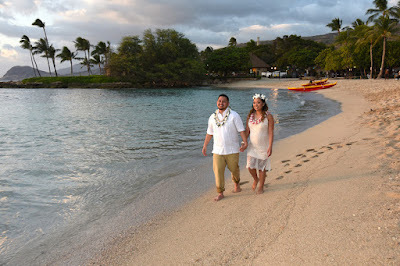 Absolutely stunning wedding location in Ko Olina next to Paradise Cove Luau. 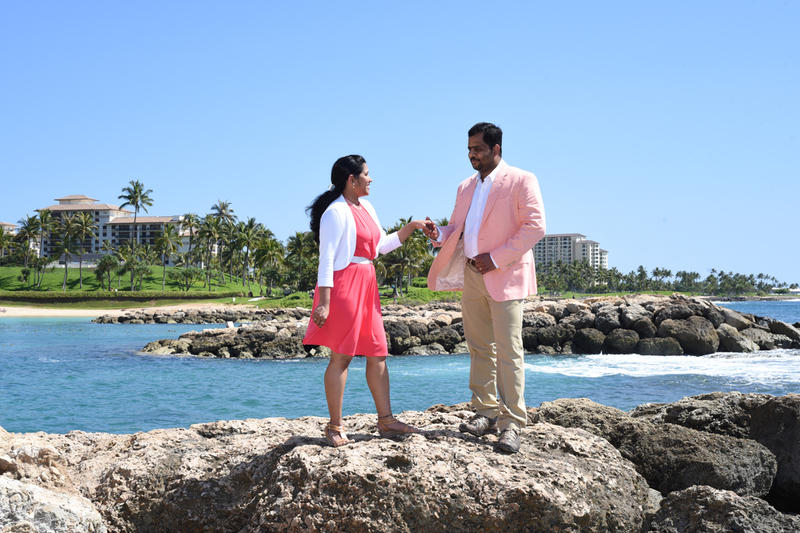 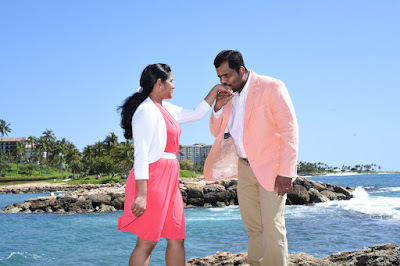 Niketh and Priyanka take some honeymoon photos in Ko Olina near Lagoon #1. 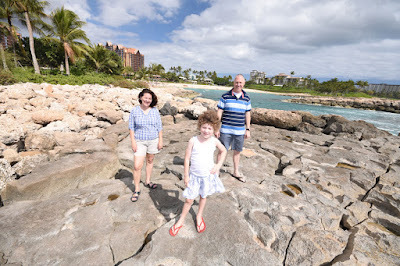 Nice view on the rocks towards the Marriott Ko Olina Beach Club Resort.